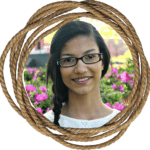 While the peppermint sticks that Mr. Edwards brought to Mary and Laura (on behalf of Santa Claus, of course) came from a store, you can actually make your own at home fairly easily. 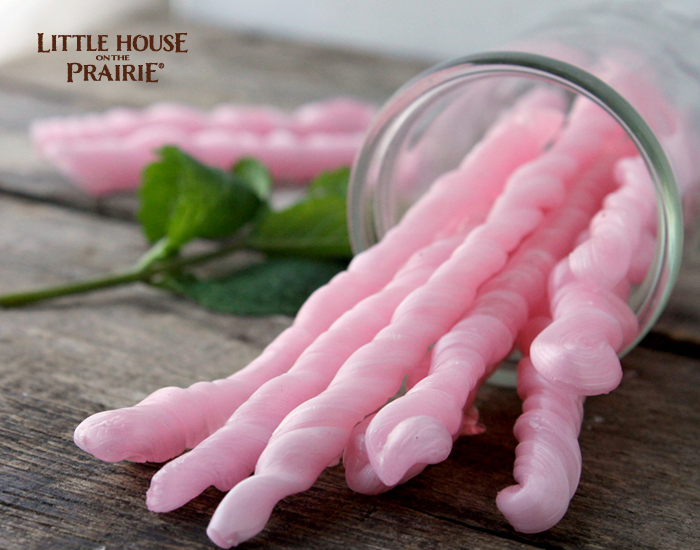 These are really fun to make for a holiday gathering, and with adult supervision kids can enjoy shaping their own candy sticks. Help your children capture the simple traditions and joy of Christmas with this delicious recipe for a holiday to remember. This recipe is adapted from a pulled-candy recipe with an old-fashioned holiday twist. 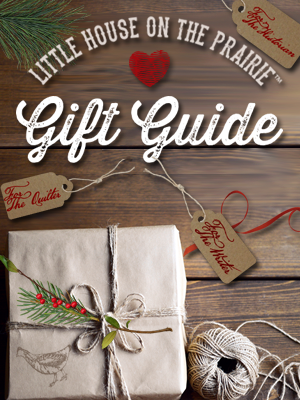 Pair this with a selection of our other holiday-themed DIYs for fun-filled days of making memories that your family will cherish for a lifetime. Step One – Grease a large baking sheet and set aside. 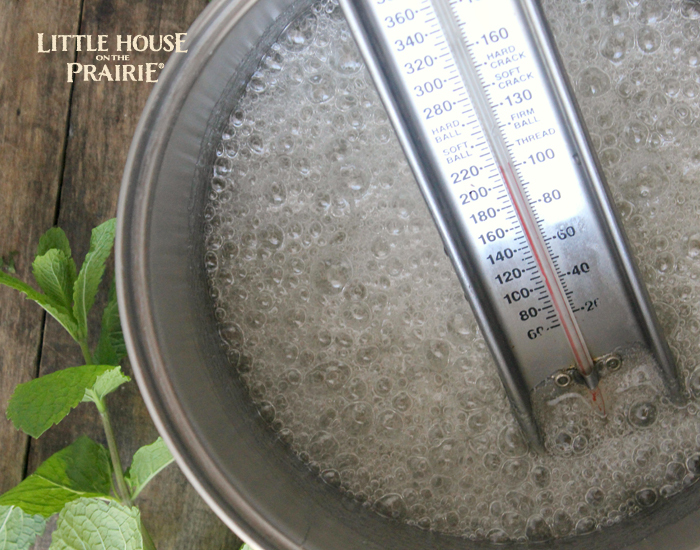 Step Two – In a medium saucepan over medium heat, combine the light corn syrup, water, and sugar and stir. Heat until the sugar is completely dissolved, stirring occasionally. 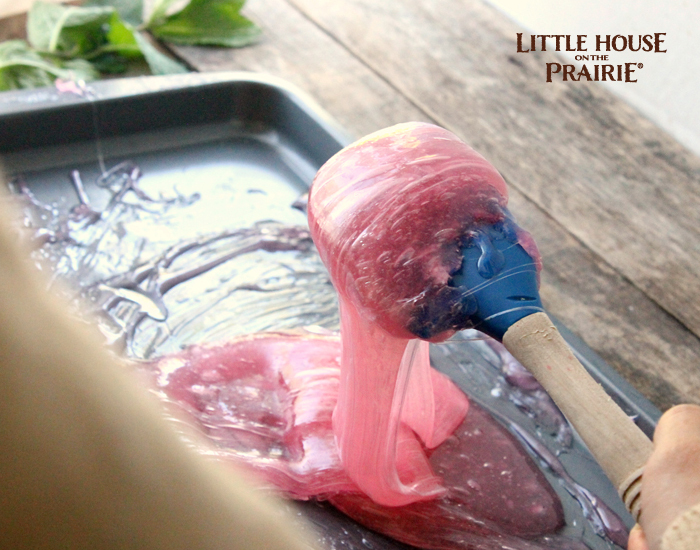 Step Four – Working quickly, remove the pan from the heat and stir in the peppermint extract and food coloring. Pour the mixture onto the prepared baking sheet. Step Five – Let the candy sit for 30 seconds to a minute, or until the top layer has developed a “skin.” Using a silicone spatula, start folding the edges of the candy into the center, pulling from all sides. This will help the candy cool faster and start the stretching process. After about 5-8 minutes, the candy will become difficult to move with the spatula. At this point you can begin pulling and stretching the candy with your hands (wearing gloves because the candy will still be VERY hot). Pull the candy and fold it in half back into itself. Repeat this step a few times. 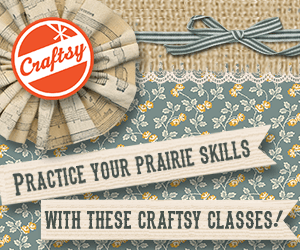 Step Six – Start pulling gumball-size pieces of candy from the mass and pull to desired thickness. 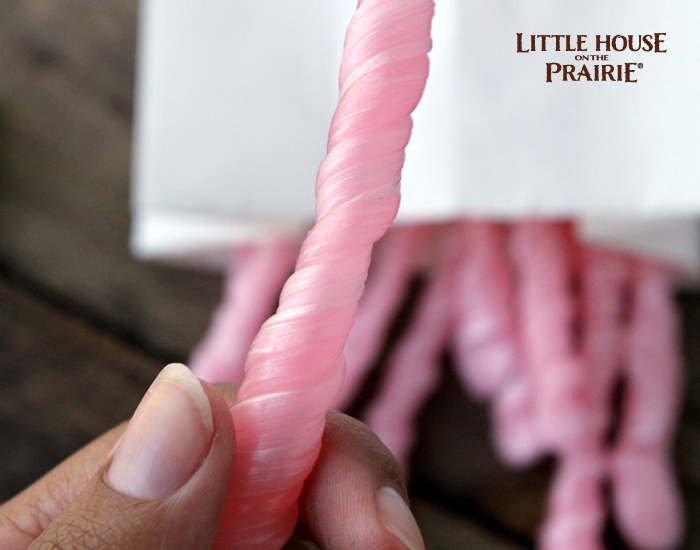 Twist the peppermint sticks, moving your hands in opposite directions to create a swirled stick. Repeat until all of the candy is used up. Work quickly because at this point the candy will harden very fast and it will become difficult to separate pieces from the mass. 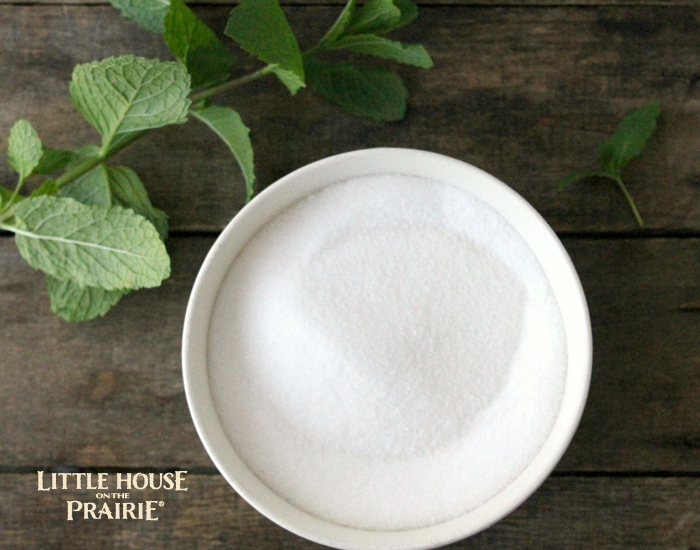 Step Seven – Lay the twisted peppermint sticks on a tray or baking sheet lined with parchment paper until fully cooled, giving each stick a little space to ensure that they don’t stick together. Store in an airtight bag or container for 2-3 months. These would make great treats for a family gathering or holiday party or even a lovely homemade gift idea. 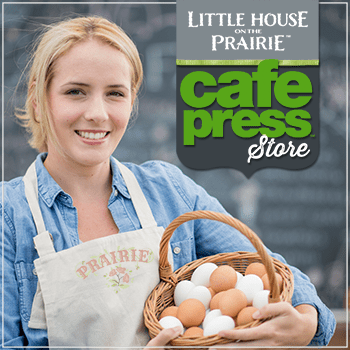 Please leave us a comment below and let us know how it turns out, and be sure to subscribe to the newsletter for more Little House on the Prairie-inspired recipes! I love getting the recipes from those days past. You can come up with some really good one this way. 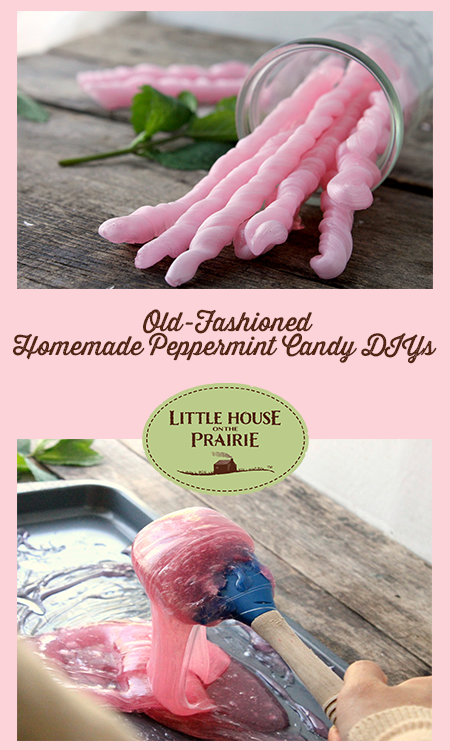 What kind of gloves would be recommended and do you add something on them to make the candy not stick as much? put a bit of oil on your gloves. 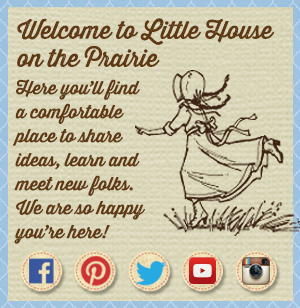 I loved ” Littli House on the Prairie.” It was a delightful show to watch each week. I did not live in that time period, but it was so good to actually see how they lived then. The other day, I saw it on T.V., and thought, “Oh great, it’s back on, and I can watch it some more!” But, I can’t find it, now. Can you please tell me the time and channel this delightful show is on? I don’t know if you’ll see this since it’s been nearly a year since your comment. 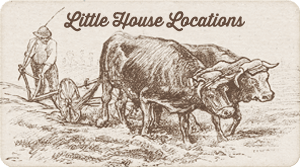 The show is on YouTube my kids and I love it just search little house on the prairie episodes and you should be able to find them with little problem. Just make sure to pick the ones with the right amount of runtime. This looks so good! I am so looking forward to trying it out. Can you just break it up into cracked pieces? I wish my husband could stand the smell of peppermint lol. Sadly when he was a child his grandmother was making candy and there was a mishap, apparently everyone in the vicinity was so overwhelmed with the smell that it sickens them to smell it even now nearly 30 years later. Peppermint is my favorite candy. I’m always buying them but never get to make any. Though I may adapt this and try with a different flavor. Lemon or orange would smell great in my house and are sure to make my kids happy!